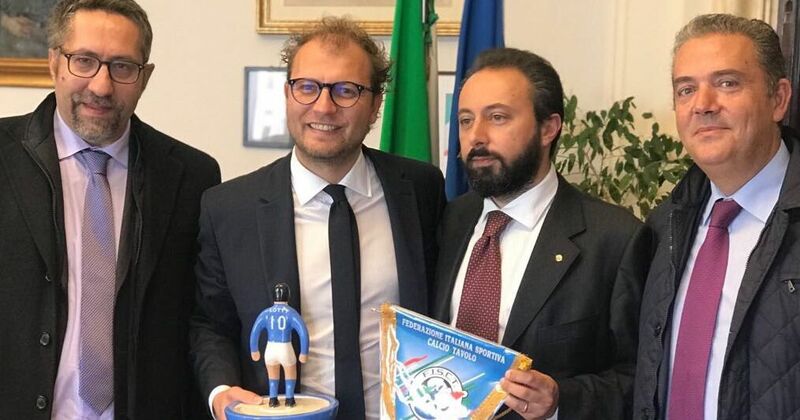 President Cuzzocrea, the meeting with the Italian Minister of Sport, Luca Lotti, was a great recognition for our sport. Yes, it’s the first time FISCT has been officially received by a minister. It is a matter of great pride and you can imagine that there has been a great deal of work on relationships and preparation behind the scenes, to make our activity perceptible to other similar sports. I think it is the result that shows the good work that the FISCT executive team is doing, improving one step at a time, without neglecting any aspect, from the organizational to the sporting one. During this meeting, have you created the conditions for a collaboration or some project for the future? 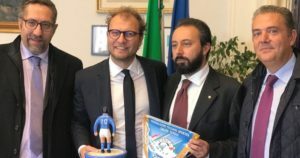 The first reason for the meeting was to present to the minister an account of the World Cup in Paris, which confirmed Italy as a leading nation of FISTF at a competitive level. After this we made an appeal for greater attention for amateur sport and especially for table football, dealing with both the topic of our recognition as a sports discipline, and the need for support and visibility of sports that are often not considered as true sports. We felt the minister truly paid attention to our case, and showed an obvious willingness to take concrete steps towards the needs of small organisations like ours. Do you consider this meeting as one of the highlights in the history of FISCT? Yes, but this does not mean we can now relax. Our aim is to improve FISCT, without pretending not to see the weak points. In the last few months we have highlighted the brand, renewed the pitches of our federal center that had been ten years old, and made it possible for the clubs – for the first time – to order and play with teams as part of discounted starter kits. We have promoted the sporting calendar, created a better deployment of the Italian Cup and the North / South alternating championships, accompanied by the growth work of associations in the national territory, improved the press office and the presence on the internet. There is still much to be done to bring FISCT to the level we would like, but I can only be satisfied with the work that the board and all those involved in organizational support at various levels are moving forward. Do you believe the presence of Stefano De Francesco on the FISTF board is a sign of increased involvement of the Italian Federation at an international level? Certainly the election of Stefano is a clear signal of our intentions. In the recent Paris Congress of FISTF we have reaped the fruits of the new course given to our international relations. The FISCT is aware that it is far ahead of the rest of the international movement, but we’re not boasting about it. Our commitment is to provide support to other national associations, through good practices, effective and replicable models of growth and development. If the other nations don’t grow, then we will then stagnate too, and that is why we are determined to support change also in the international arena. Of course FISTF must have certain rules and pay attention to what was its history, which is a story of unity and impartiality, aware that the transition from play to sport is inevitable and irreversible.